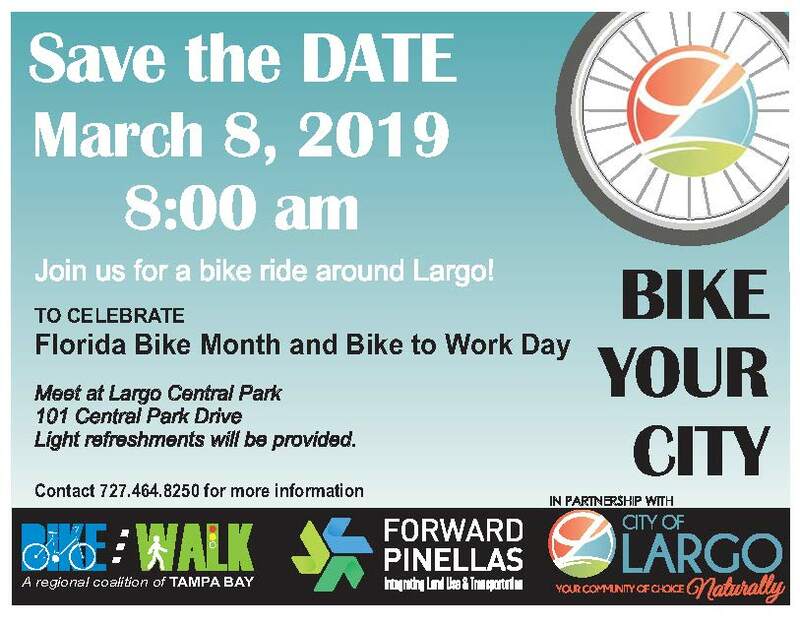 Forward Pinellas will be hosting a bike ride around Largo to Celebrate Florida Bike Month and Bike to Work Day. Meet at Largo Central Park, 101 Central Park Drive. Please RSVP through Eventbrite. Light refreshments will be provided. Contact 727-464-8250 for more information.